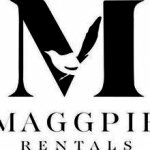 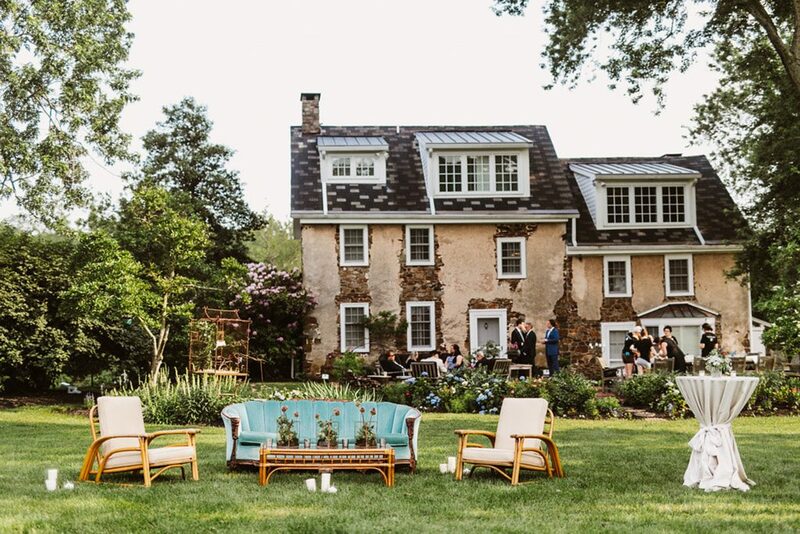 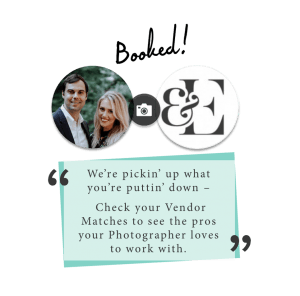 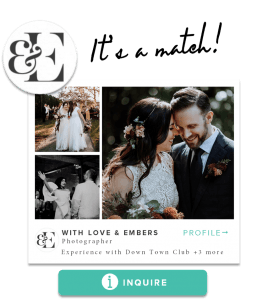 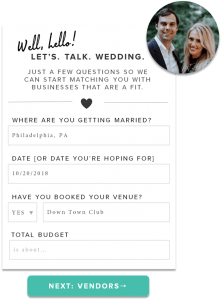 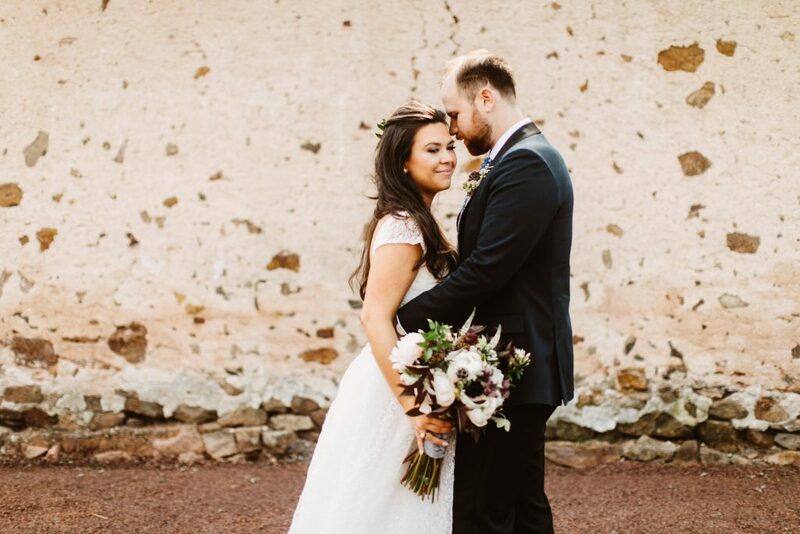 Our bride always imagined that her wedding would take place at her family farm in New Hope, Pennsylvania. 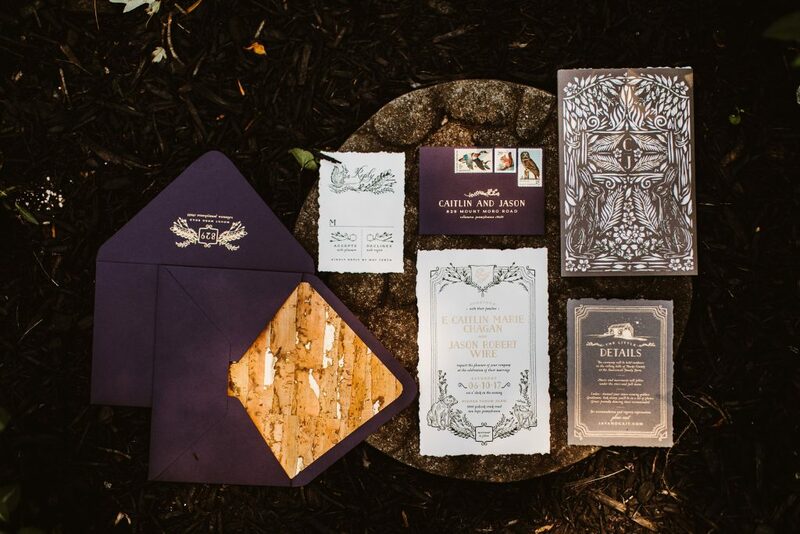 Her stationary set the tone with its intricately etched designs in the invitations, programs for the ceremony and the signage at the reception. 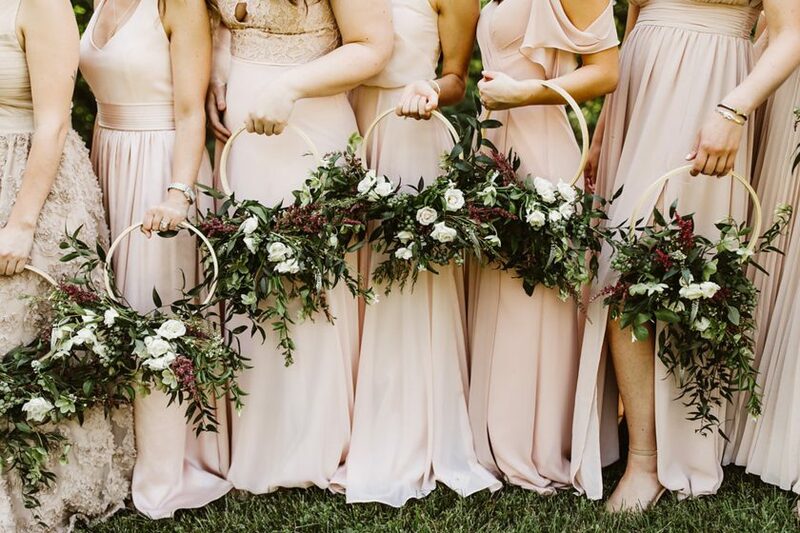 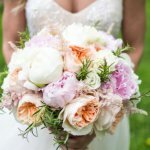 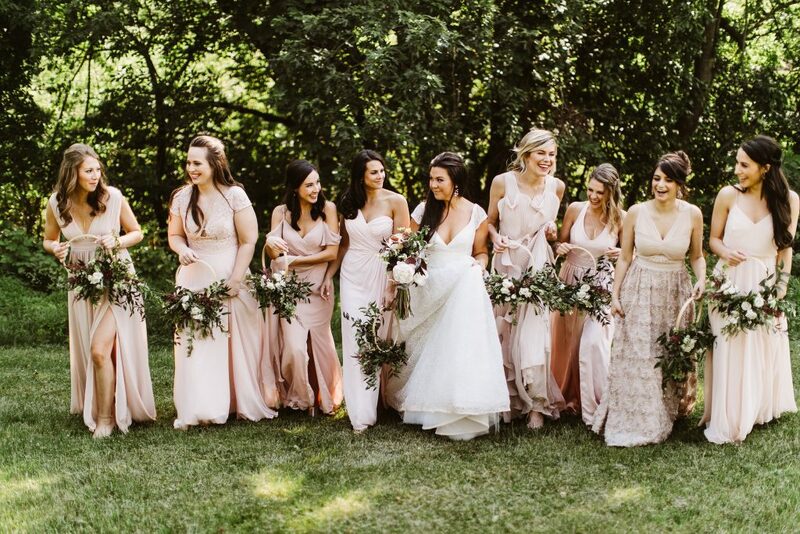 Her bridesmaids wore blush pink dresses and carried light-weight hoops accented with cascading florals of blush spray roses, purple hellebore, and greenery. 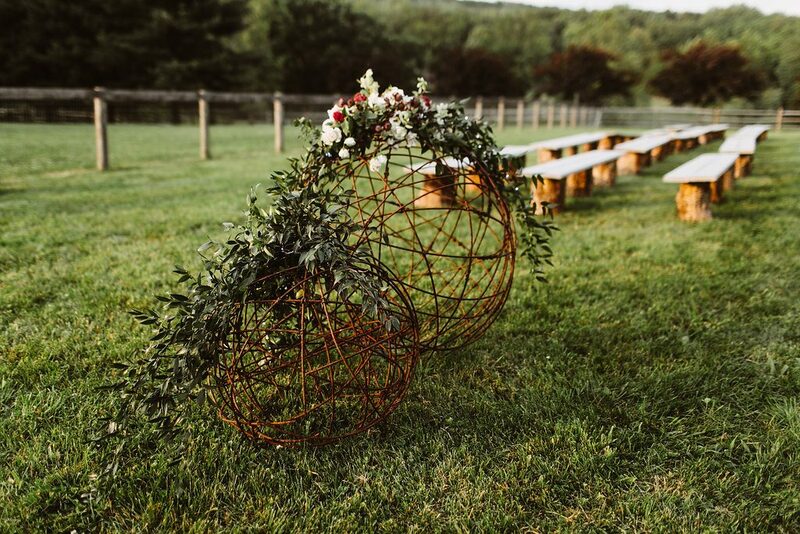 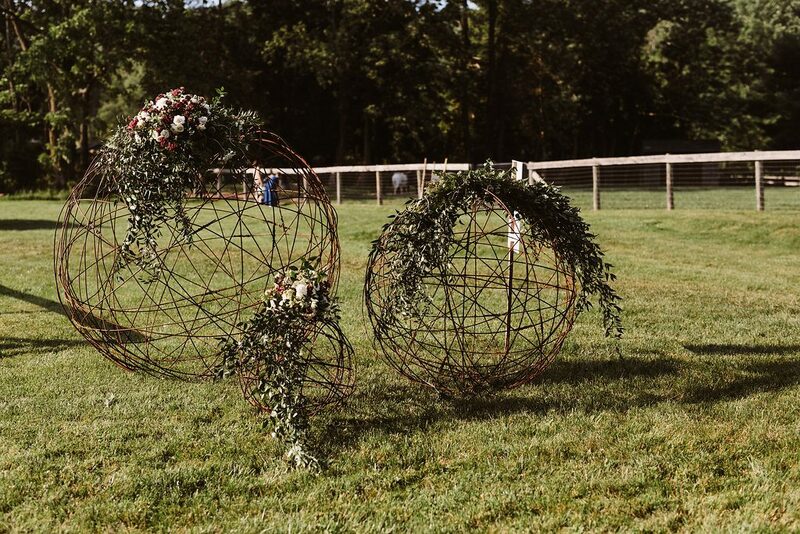 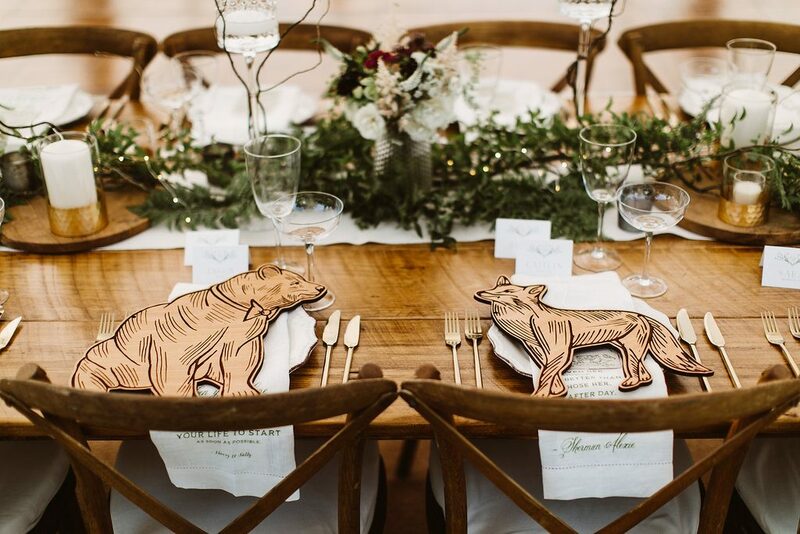 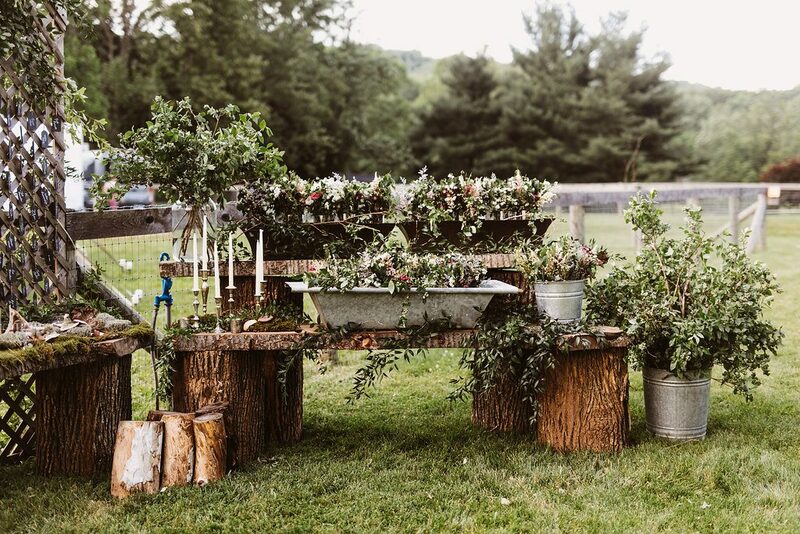 The bride envisioned an ethereal atmosphere; she embraced the farm’s scenic location and added sophisticated touches, such as whimsical floral displays and candelabras along a charming wooden table and a collection of tree stumps creating an enchanted and organic atmosphere. 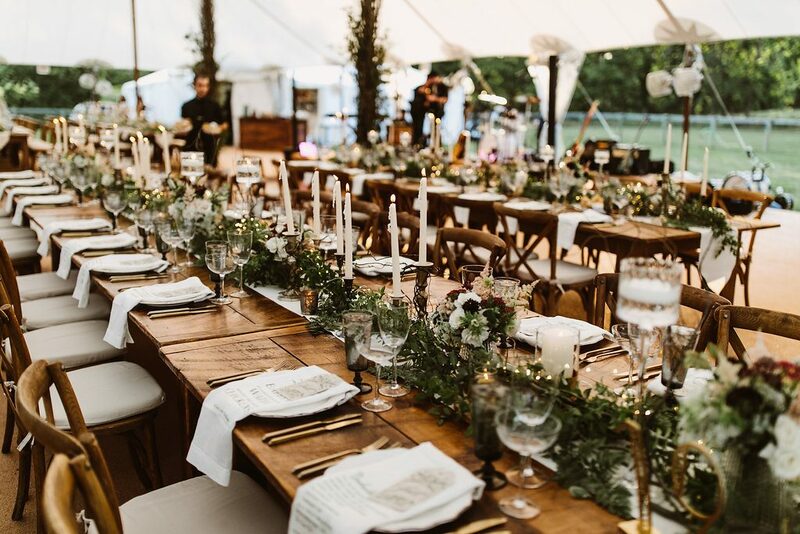 Fairy lights, moss, and bubble lights added shimmery light and wild texture to the tables of the reception. 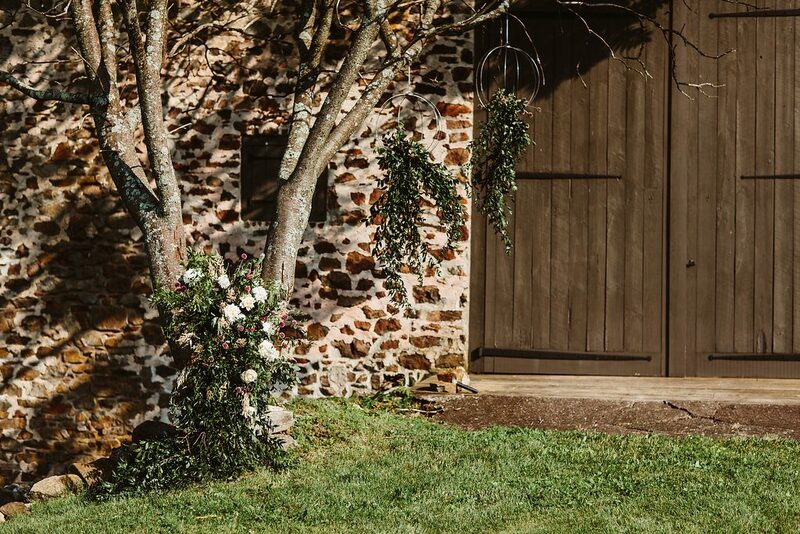 Tumble weeds decorated with greenery garlands defined the entrance to the ceremony and reception area for guests.